The Monotype-sponsored exhibition brings together a variety of examples of historic and contemporary lettering from the Museum and Study Collection and the Central Lettering Record, which co-curator and Central Saint Martins Professor Phil Baines (see ‘Central Lettering Record’ in Eye 15) says offers ‘glimpses of earlier ways of working, national traits, and ways of using archaic printing techniques’. Nicolete Gray’s pressed damp paper inscription Squeeze: Roman square capitals. Top: photograph by Brendan Bell. 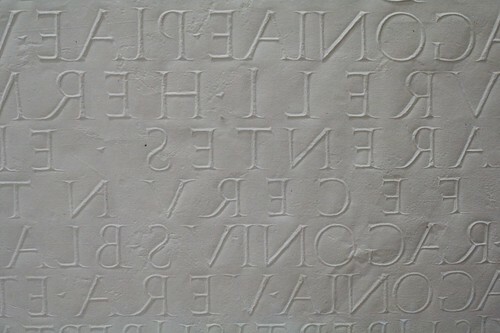 Alphabet and numerals, originally cut in marble by Eric Gill. Photograph: Brendan Bell. Photographs by James Mosley (formerly librarian at St Bride) of inscriptions in Rome sit alongside photos by Alan Bartram, used in his book Lettering in Architecture (see ‘Quiet man of letters’ in Eye 86). These are following by illumination and manuscripts – featuring a decadent ‘G’ and ‘S’ in paint, ink and gold leaf – from the thirteenth century onwards. 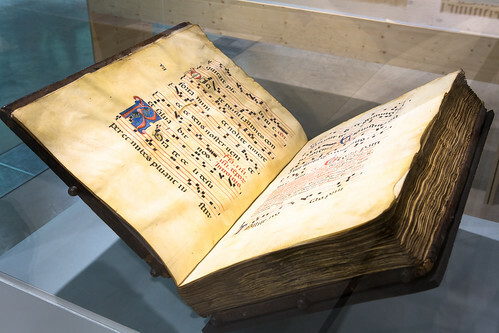 A spectacularly large, calf-leather bound monastic music book Gradual, with Latin text and illuminated capitals from Bologna ca. 1480 is inarguably a highlight of the show. Gradual, a monastic music book, ca. 1480. Photograph: Brendan Bell. 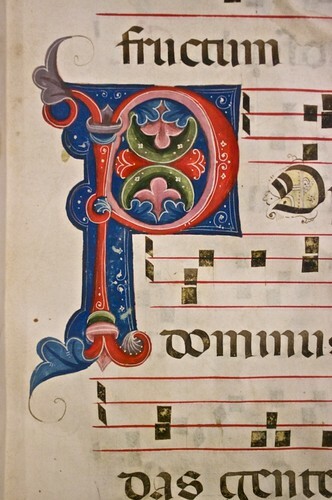 Detail from Gradual, ca. 1480. The exhibition places playful and sober typographic works side by side. 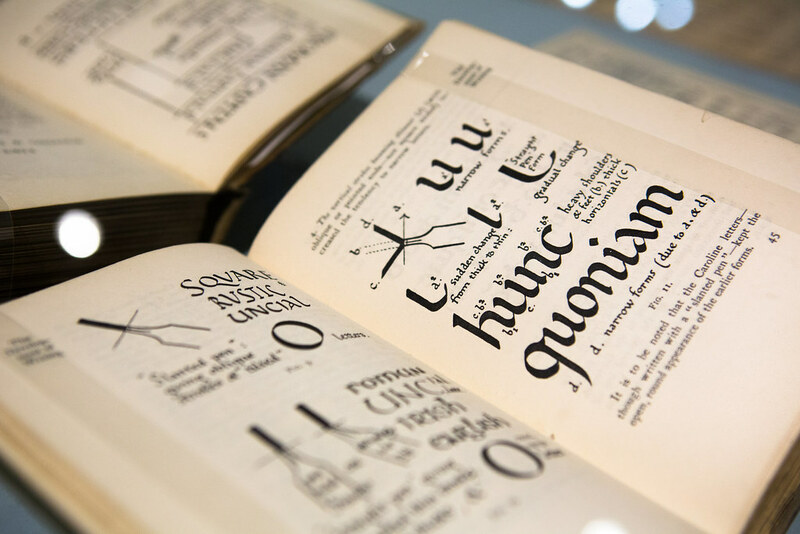 Fine examples of CSM student work sits alongside historically significant examples of handwriting and calligraphy, letterpress and type, and letter design with ease. Among these pieces, there are other striking typographic attractions: Ken Garland’s letterpress monoprints from his student days at Central in Edward Wright’s evening classes (1953), Edward Wright’s plan for lettering on the congress building for the 6th International Union of Architects’ Congress (1961), the British Rail Corporate identity manual by Kinneir Calvert and stunning examples of Edward Johnston’s manuscript and inscription letters, A-Z letter boards and 10-line Johnston wood type. 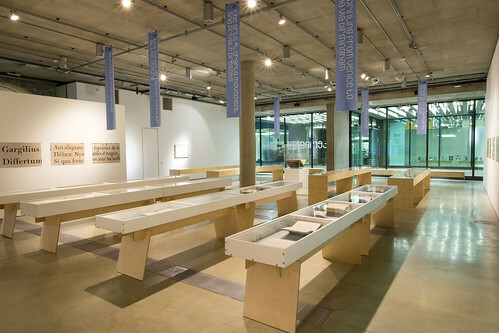 ‘Lettering: Objects, Examples, Practice’ is the first exhibition of its kind in the college’s Granary Square location and demonstrates not only the rich lineage* of the students and faculty, but Central Saint Martins’ continued dedication to learning and progress in typography and graphic design. The exhibition continues until 12 April 2014 at the Lethaby Gallery, Granary Building, 1 Granary Square, London, N1C 4AA. Professor Phil Baines and Judy Willcocks, Head of the Museum and Study Collection, will be giving a tour of the exhibition on Thursday 10 April 2014 at 1pm. *The Museum and Study collection represents more than a century of collected materials as well as twenty years of work bought from students. 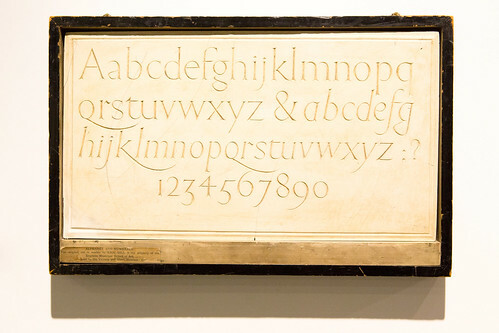 The Central Lettering Record was built up by Nicolete Gray and Nicholas Biddulph from the mid-1960s onwards at the Central School of Arts & Crafts prior to its 1989 merger with St Martin’s School of Art. 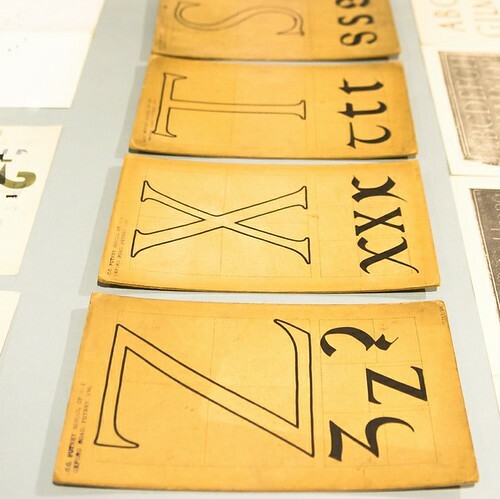 ‘Lettering: Objects, Examples, Practice’, Central Saint Martins’ Lethaby Gallery, 2014. Photograph: Brendan Bell. 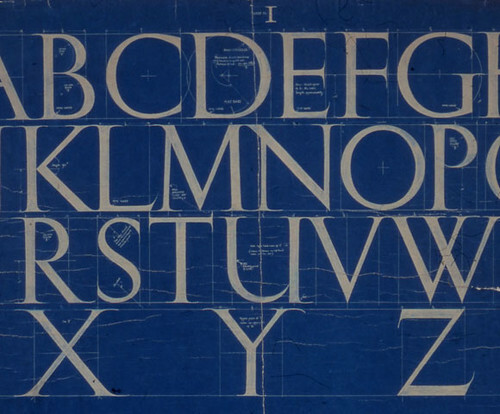 Eric Gill drawing of Roman letters for W. H. Smith, 1907. Edward Johnston’s A-Z letter boards, 1909. All photographs taken by Phil Baines unless otherwise stated.